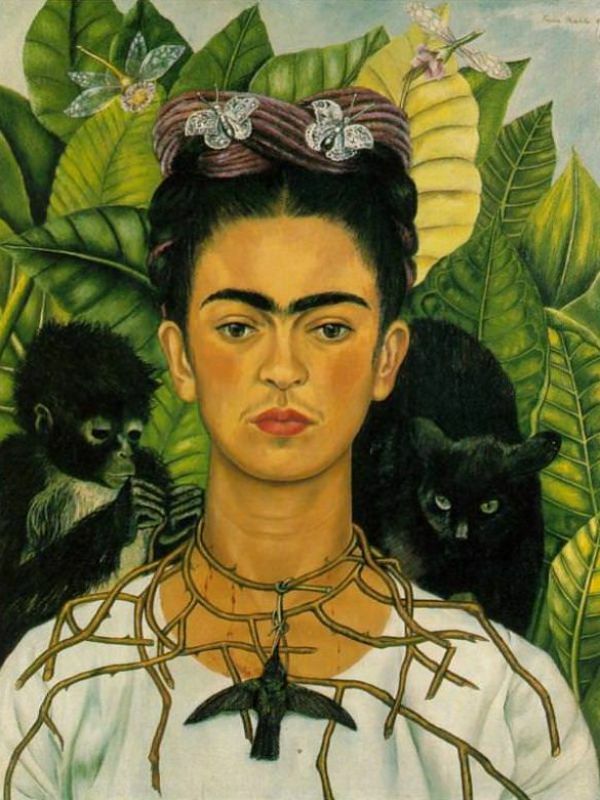 Kahlo's 1940 painting "Self-portrait with Thorn Necklace and Hummingbird" will be on display at the Harry Ransom Center at UT Austin, which acquired the painting in 1966 from photographer Nickolas Muray. Muray, with whom Kahlo had an affair, purchased the painting to help the Mexican artist during a difficult financial period, according to a news release from UT. The painting is part of the Ransom Center's Nickolas Muray collection of more than 100 works of modern Mexican art, including other Kahlo paintings "Still Life with Parrot and Fruit" (1951) and the drawing "Diego y Yo" (1930). The self-portrait will be on display in the Ransom Center's lobby beginning Nov. 25 2015 through the end of 2017. The painting has been featured in exhibits in more than 25 museums around the world, including in Australia, Canada, France, Spain, Mexico and Italy.